Newly constructed walls on existing foundation can be tricky. But we’ve got this. 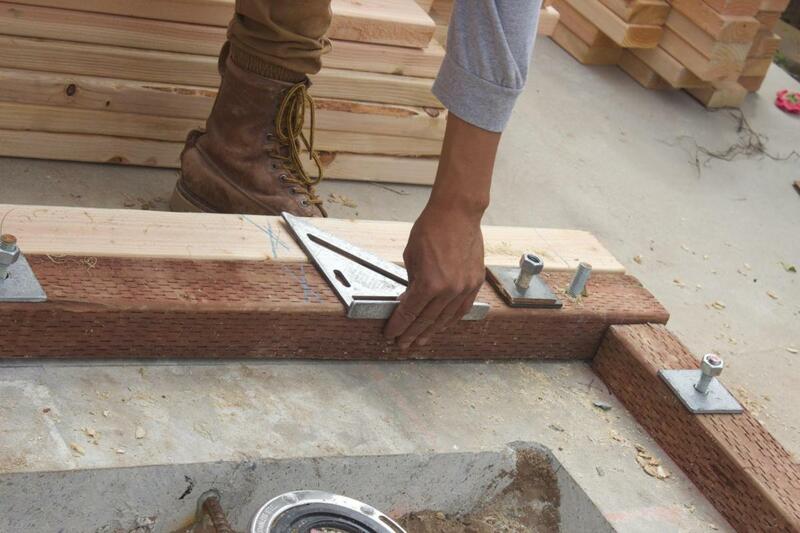 Time for pressure-treated sill plates. These are attached to the foundation with MiTek hold-down bolts and anchors. Unlike straightforward new construction, this is one of those steps where the remodeling rubber meets the road: In areas of new concrete, those bolts have previously been placed directly into the fresh pour; but in areas of existing concrete, holes were drilled and bolts set in place with epoxy. And since we’re dealing with a mixed-material foundation—an older one, at that—some compensating for unevenness needs to be done to ensure the second-story floors will be level. With the help of a laser, Julio’s crew of experienced framers measure, mark, and trim 2x4 studs, then lay the whole thing out on the floor for assembly. Cleverly, they temporarily hammer the top plate adjacent to the bottom sill plate so stud placement marks drawn across both pieces align perfectly. The top plate is then removed and placed at the other end of the studs for final assembly. With studs in places, one of the team members handles his pneumatic nailer like a Wild West gunslinger, and the whole thing is assembled in a flash. 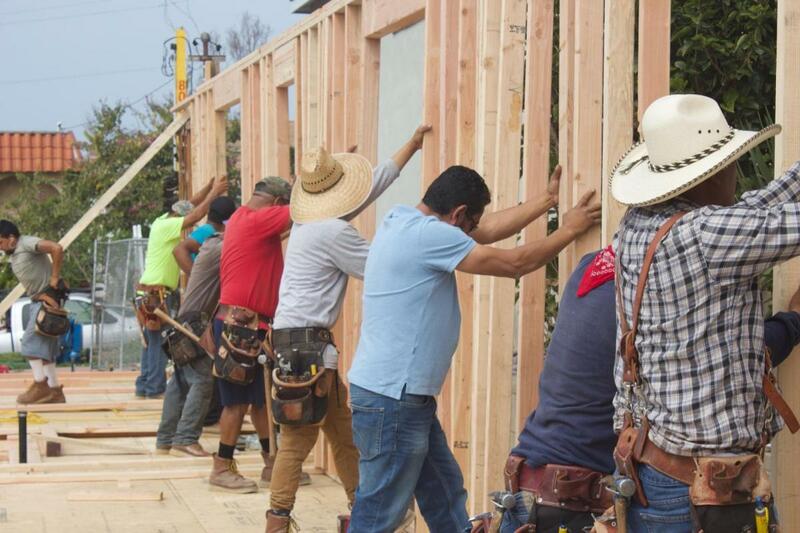 A few whistles to round up the crew, everyone takes a position and—bam!—faster than the barn-raising scene in the Harrison Ford's “Witness,” the first 40-foot wall is up. This thing’s suddenly starting to look like a house!